When it comes to smart phones, you will see that each passing day has something new to offer to the customers as well as to the market. The market conditions will keep changing based on the constant demand which keeps fluctuating. We have all seen that the tech industries which come up with new gadgets have to be always on their toes and give their customers the best to stay in the market. The latest product will have all the best qualities that the market has to offer including the latest features. The latest product will also be quite costly and affordable only to the elite customers. One of such industries is the smart phone industry which has lately seen a lot of new phones from different brands. Here the latest technology attracts people and makes the gadget all the more useful and easy to use. But the products get obsolete very quickly in this market when compared to the other markets. That is why we can see that the flagship product of a particular brand will change in a matter of just a few months. Then the future of that particular phone will become bleak and then after a certain span of time will be taken off the market. Also See: How to Get 50GB Dropbox Storage on All Android Devices. If you have such an impressive phone at impressive rates, the demand is definitely going to be healthy. The latest Jelly Bean OS is now available on the S2 and the official links have been out in the market on various carriers. The latest has been a release of the firmware on air. 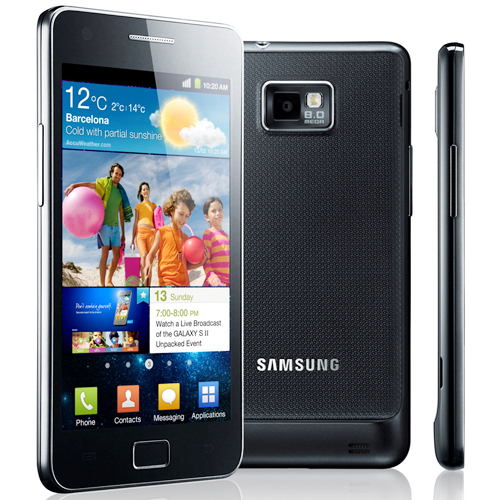 For the galaxy s2, it is called the jelly bean 4.1.2 XXMS1 firmware and is being used very easily by the s2 users. But the fact remains that this is especially for the users in the Europe region. The list of features that you will come across will simply leave you awestruck. The recently launched OS update has had all the leading brands in frenzy. The elite customers want nothing but the best for their products. So, each of these brands are trying their best to get the OS update done as fast as it can be done. None of the companies have been as successful with the new OS as Samsung as it has now got the new OS is not just the flagship but other phones too. The OS update requires the phone to be rebooted and this is no easy job. You have to go as per the instructions. If you are getting your Galaxy S2 rebooted to the tune of the XXMS1 Firmware then here are the steps to be followed. Note: Do the firmware installation At Your Own Risk, the admin of this blog is not responsible for any damage caused because of your negligence. Step 1: First Download Android 4.1.2 JellyBean XXMS1 Firmware and download the ODIN application and use the WinRar extractor to extract both the files to the required destination. Step 2: Now turn your phone off and put it in the download mode. You can do this with the volume buttons and the power button. Step 3: Connect your Samsung Galaxy S2 to the computer and run the ODIN on your computer. (Wait until the ID: COM Box turns Yellow. Step 4: Next Hit the PDA button and browse to go to the file location of the downloaded XXMS1 Firmware. Step 6: Select ODIN Auto reboot and hit Start button to flash your phone’s memory. Once the process completes, you device may restart several times. Done!!! You've successfully Installed the latest XXMS1 firmware to your Galaxy S2 and Now you can enjoy JellyBean Experience on your device. My Name is Christy Root. I am Technical Writer who likes to Articles, Press Releases, and Blogs on Technology, Smartphones, and Gadgets Reviews. I love to write on Cheap Mobile Phones, Pay As You Go Phones, SIM Free Phones and Mobile Accessories. I like to read Tech Articles, Blogs to upgrade my knowledge.